Sketchfab Community Blog - Halloween Haunted House Contest: the winners! Halloween Haunted House Contest: the winners! So let’s get on with the winners and keep reading – there’s a little extra at the end! Prize: $50 Amazon voucher*, a Sketchfab Cardboard VR Viewer and 3 Months of Sketchfab PRO ($45 value). 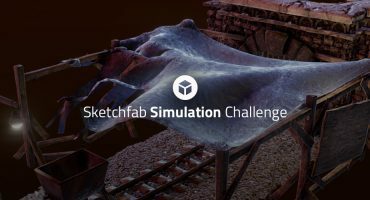 Prize: $100 Amazon voucher*, a Sketchfab T-shirt and 6 Months of Sketchfab PRO ($90 value). Prize: $150 Amazon voucher*, a Sketchfab Hoodie and 12 Months of Sketchfab PRO ($120 value). You all did an amazing job and it was great fun following your WIPs and conversations on the forum. Remember, you can browse all entries in the Haunted House Contest gallery. Enjoy, and have a great weekend! 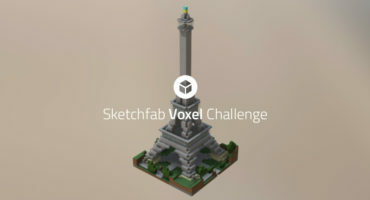 Sketchfab Voxel Challenge: Landmarks, with a Twist!